Complete that look for your home with Colour Match Sockets and Switches, the perfect finishing touch to your modern contemporary building. Whether you have a Studio, Nursery or an ultra modern Penthouse Flat we can offer the perfect match of colour to reflect the interior design features you are looking for to enhance your property. You can choose f ... Read more on the Seamless Colour Match range. Finishes Available - Click on the swatch to see and order Seamless Colour Match in that finish. Please note – These sockets and switches are individually handcrafted including the finish which means that the expected delivery time can be up to 7-10 working days. We charge a one-off £50 paint set up surcharge per order (regardless of order quantity) which will be added at checkout – you will be asked to specify your required colour and finish type at the checkout stage. You can choose from any of the 2 high quality flat plate accessories ranges Seamless and Executive , and we will spray paint the finished product in our factory to achieve the perfect finish with a robust hard wearing coating in a matt finish that will stand the test of time. Alternatively choose our Seamless Paintable range and you can paint it yourself. Choose from any of the 210 colours in the RAL, BS381C or BS4800 ranges. 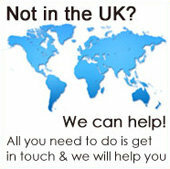 We also offer an expert colour matching service. Simply send us a sample of your required colour (paint swatch, kitchen splash back sample etc) and we will find the required match. These fittings have been used in many areas including kitchen splash backs, interior design schemes, retail outlets, showrooms, nurseries and much more. The superior quality Seamless range is crafted by hand in our UK factory and is one of our most discreet ranges of flat plate sockets and switches. The Executive plate is finished with soft rounded corners however if you require extra definition we can supply the Ultra Square Colour Match range to give you that extra edge. 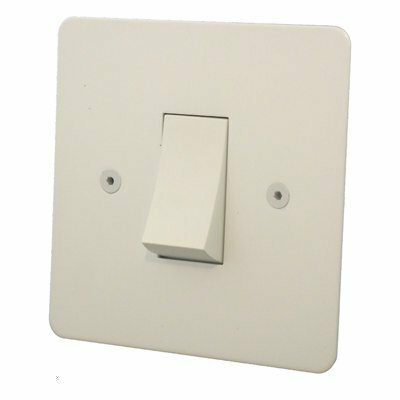 Seamless differs from every other range we offer in two ways – firstly the metal rocker switches on this range have NO plastic trim showing on either the sockets or the light switches so the switch merges into the plate. The Seamless range also feature Hex head screws that gives this range a unique look and is an exclusive feature on our Seamless, and Ultra Square Colour Match ranges. This range includes the highest quality electrical switches on the market today, made by Wandsworth these switches come with a 25 year guarantee against mechanical and electrical failure to give you the confidence that these switches will last the test of time. If you need a top quality product with subtle clean lines and an unobtrusively designed plate, the Seamless Colour Match range of Electrical Accessories is the range for you. Couldnt believe how good they look. Exact match of the Dulux colour I gave them. Great idea. Sockets are perfectly matched including the screws! Exquisite and blend seamlessly into my walls. These are very well made and acurately finished. I wanted a Farrow and Ball colour and they matched perfectly. I couldnt be happier.